TO REGISTER PLEASE FILL OUT THE INFORMATION AND YOU WILL RECEIVE AN APPLICATION FORM THAT MUST BE FILLED OUT AND RETURNED BY FEBRUARY 24th, 2011!!! We need your help!!! It cost on average $2500 for each participant in this program. We need your help to do this! Louisiana ranks as the second most obese state in our country- 33% of adults and 35% of our children are obese. Obesity is a serious and critical threat to not only our wellness, but to our lives. We invite you to help us plant seeds of change and make a difference through Beyond Borders Outreach Ministries’ Lay Aside Every Weight (LAEW) initiative, a comprehensive anti-obesity and fitness program that will empower participants to change their lives by making healthier lifestyle choices. Please consider making a gift towards LAEW to help us meet our $AMOUNT funding goal as we begin our 2011 cycle. We need your help to make this program a success. Your support will help us bring in certified trainers and medical staff and provide fitness equipment and nutritional guidance – we cannot begin the camp without meeting our goal. As a LAEW camp partner, you will enable us to provide the education and access that will help participants make better lifestyle choices. Obesity is a not an epidemic unique to our state; our country is becoming more and more obese and the related medical conditions including high blood pressure and cholesterol, type 2 diabetes, heart disease, stroke and cancer is proving fatal for people of all ages. In addition to the obesity related diseases lowering our quality of life, they are costly: in Louisiana alone, the health cost is a staggering $1.4 Billion. There are several national programs, expensive fitness camps, reality TV shows and trendy diets that are helping people save their lives with healthier habits, but LAEW is a local program that can provide the one-on-one support and guidance that will make participants successful. Often it is new programs that can make the difference, offering hope to people who have unsuccessfully tried every program and diet and are at the end of their rope. We all know someone who has been overweight at some point in their life: the new mom who cannot lose her baby weight, the depressed person who finds comfort in food, the child who cannot fit at his school desk or get on amusement park rides. BBOM is a new organization with a fresh, innovative approach and a mission to improve people’s lives, giving them a future and hope. Please consider making an in-kind gift or donation of a gift certificate to provide necessary fitness equipment for our LAEW participants. Our current wish list of supplies/equipment includes jump ropes, pedometers, workout mats, free weights, exercise bands, medicine balls, stability balls, weight scales, body fat analyzers, heart rate monitors, journals and healthy snack. We also want to award these individuals for their efforts by supplying them with great incentives that include stationary bicycles, treadmills, elliptical, Wii Fitness, blenders, juicers, food scales, and grills. We need your help to make this program a success. As a LAEW camp partner, you will enable us to provide the education and access that will help participants make better lifestyle choices. As a thank you for your in-kind donation, BBOM will include your marketing materials in a folder distributed to members of the LAEW program, mention your business and location on our LAEW program webpage and blog site and publicly thank you at the LAEW culminating ceremony. We know that LAEW can change the outlook of entire families and we hope you share our vision for a healthier community. Please see the attached note from our board members and fill out the attached form to help give families in our community a bright future filled with hope! Thank you for your consideration. Beyond Borders Outreach Ministries is a non-profit organization, tax ID #27-2064957 and your donations are tax deductible to the fullest extent of the law. 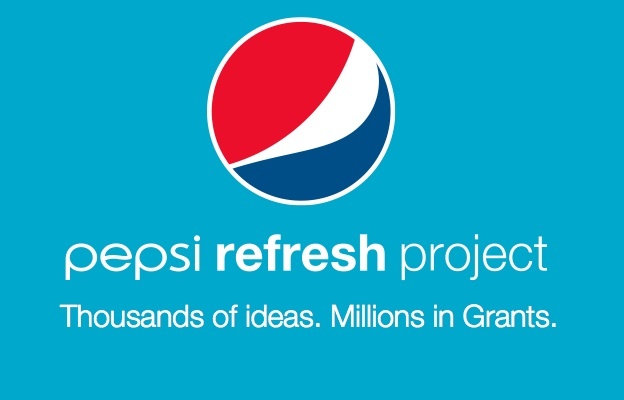 Vote daily for our Pepsi Refresh Project idea “Help STOP the Obesity Epidemic that is fatal in New Orleans, LA” on Refresheverything.com! You can also vote by searching for our idea on the Facebook Voting Application, by texting 105606 to PEPSI (73774), and by downloading the Pepsi Refresh Project App for the iPhone or Android. Voting ends February 1, 2011. Please note that, as of June 1, 2010, rules for the Pepsi Refresh Project have been updated to expressly prohibit proxy voting. To ensure a fair, accurate count of votes, an outside company monitors the site. Any idea that uses proxy voting, which includes but is not limited to creating multiple or dummy accounts and voting on behalf of other users, may be disqualified. The “Lay Aside Every Weight” Program will target obesity in New Orleans and change the lives of 64 participants during a 6-month period by giving them access to trainers, medical professionals, counseling sessions, camp activities, and progressive incentives. Our state’s obesity rate ranks #2 in the nation. Louisiana’s annual cost on obesity related medical conditions averages $1.3 billion. Sadly, most people cannot afford to pay $9,000 for a 7-week fitness camp or the cost of 1 to 2-year contractual membership fees at local gyms. That’s why BBOM has started this innovative program called “Lay Aside Every Weight” (LAEW). LAEW was designed to give participants healthier lifestyle choices. will conclude with a city-wide Family Health & Fitness Fair. Welcome to Lay Aside Every Weight’s Blog sponsored by Beyond Borders Outreach Ministries!!! Feel free to join the movement. Let’s live healthier and fitter lives so that we can experience life to the fullest!!!! On this site you can check out the 2011 program, follow the progress of the people in our program, take your own fitness journey, support us and follow BBOM’s Founder and CEO as she takes you on her weight loss journey. Please feel free to subscribe to us and comment openly and honestly but also respectfully. You will also have the opportunity to donate to this program. Beyond Borders Outreach Ministries is a Non-Profit Organization under the section 501(c)(3) of the Internal Revenue Code. Contributions are Tax Deductible to the extent allowed by the law. LET’S GO TO WORK WORLD SO WE CAN BUILD BETTERS LIVES, BEYOND HOME, BEYOND CITIES AND BEYOND BORDERS!!!! In 2009 approximately 13 million U.S. children and adolescents are obese, with a body mass index at or above the 95th percentile. Childhood obesity in Louisiana is 35% ranking our state number 7 in the country.